If not handled carefully, fires can be deadly. We have said that many times before, in our previous posts. Residential fire accidents account to 20 percent of all fire accidents in India. A home fire extinguisher is the last thing that one would buy for our house. We do not hesitate to decorate our homes with fancy decors, but, let’s try to put away some money in our budget for safety. Fire extinguishers are one of the most effective means of putting out a fire. If you’re in the market to purchase a fire extinguisher for your home, you will be amazed by the number of options you have. There are possibilities that without proper knowledge you will end up buying a wrong type of fire extinguisher that would not help you in putting out the fire. 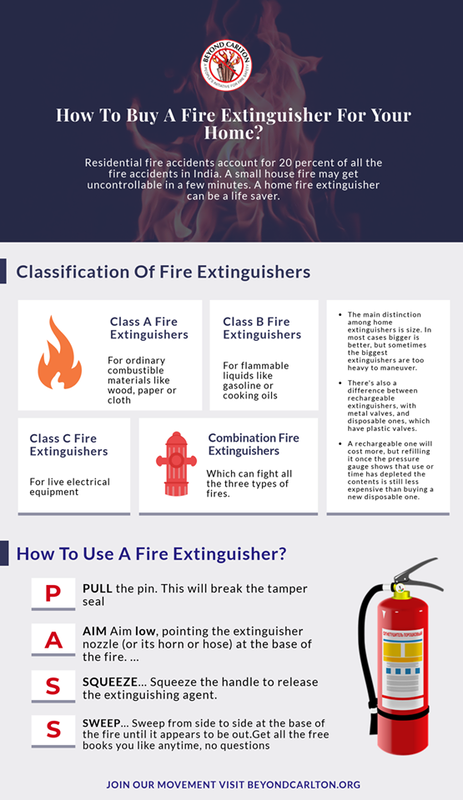 Here is a brief guide to help you buy a fire extinguisher for your home. These type of extinguishers use pressurized water to fight the fire. AWP fire extinguishers are used for putting out Class A fire that is caused due to the burning of solid combustibles. It is advised that do not use water for extinguishing fire caused due to flammable equipment and electrical equipment as it could aggravate the fire. Foam fire extinguishers are successful against fire caused due to the burning of solid combustibles and flammable liquids. These are safer than AWP fire extinguishers and are usually marked with a blue band. These can vary widely in size and are available in different sizes according to your requirement. As evident from its name, this type of fire extinguisher uses carbon dioxide to put out a fire. With the help of non-flammable carbon dioxide, CO2 fire extinguishers can fight a fire caused due to flammable liquids and electrical equipment. These do not consist of a pressure gauge. Dry Chemical extinguishers use mono ammonium phosphate for fighting a fire. These have a pressure gauge and are usually labeled ABC or BC describing the different types of fire these can extinguish. Dry Chemical Extinguishers are usually used for fires caused due to solid combustibles, flammable liquids, and electrical equipment. 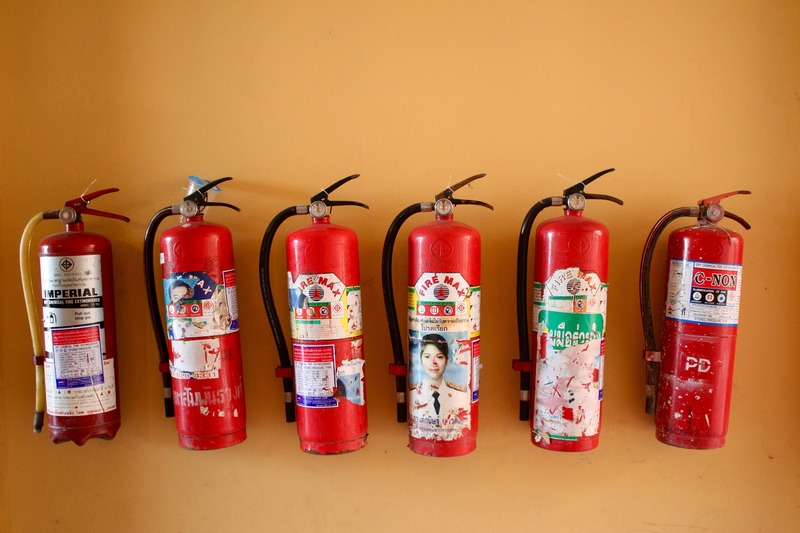 These are the most common type of fire extinguishers that are deployed in home for fire fighting. If you planning to install a fire extinguisher in your kitchen, you might want to purchase an extinguisher that can put out a fire caused due to cooking oil, grease, animal fat etc. However, if you want to install a fire extinguisher in your drawing room with wooden furniture, choose the type that’s beat for extinguishing a fire on a wooden material. If you have children at home, you might want to purchase a fire extinguisher that is easy to operate and lightweight. You can opt for dry chemical Extinguishers or CO2 extinguishers.